A common theme throughout the blog is looking at different means of presenting information, from video, talking avatars etc. I often use word clouds in presentations to help illustrate a point and provide something more visually appealing then a few bullet points. 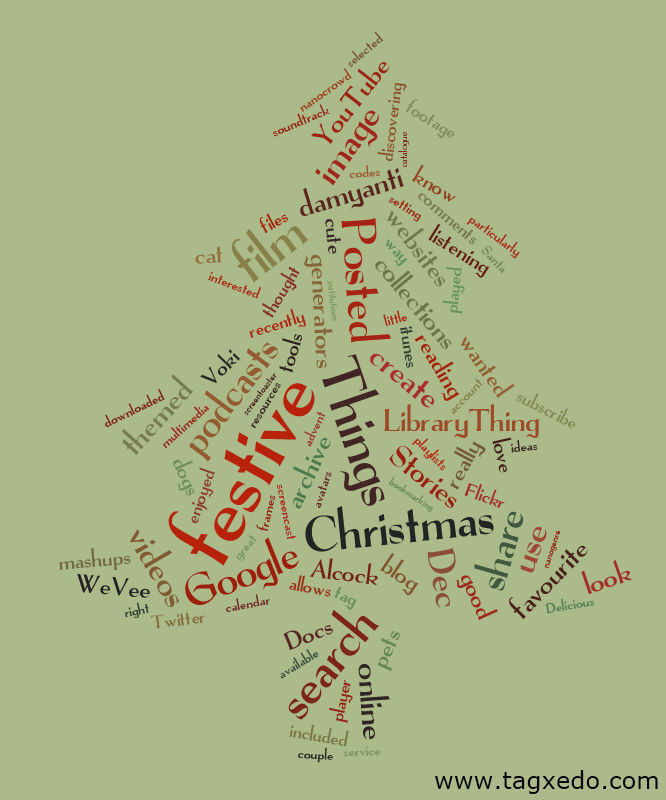 Here we’ve used Tagxedo to create a festive word cloud of the text from our blog, unsurprisingly we have been using ‘festive’ a lot. 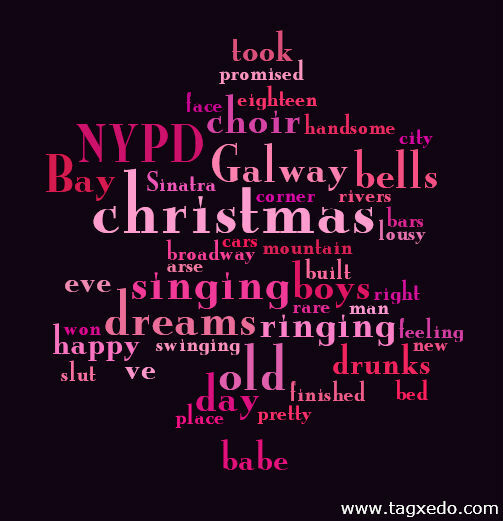 I’ve also created a word cloud from my favourite xmas song, can you guess what it is?